During the holiday break, my mother-in-law was putting her former-teacher skills into action. After a Christmas cookie decorating contest for the family in which she gave out awards such as “Most symmetrical tree” and “Most wordy,” she broke out a snowflake craft for her three granddaughters to work on while their father was out grilling prime rib with their Papa. 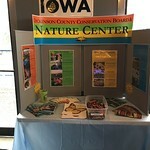 I put together a few craft stick snowflakes for kids to decorate at the Dickinson County Nature Center and thought I’d make a few examples for families to try at home as well. 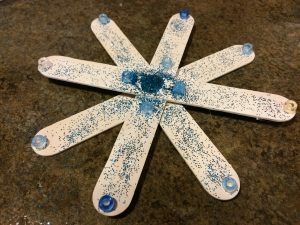 Start by gluing two craft sticks into an X, and then add another X on top of that for an eight-sided snowflake. 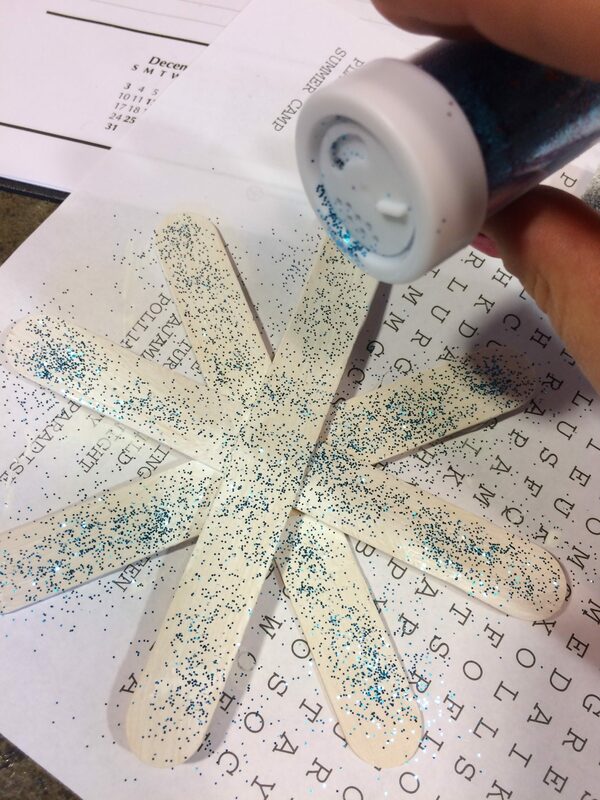 Paint the snowflake with white acrylic. 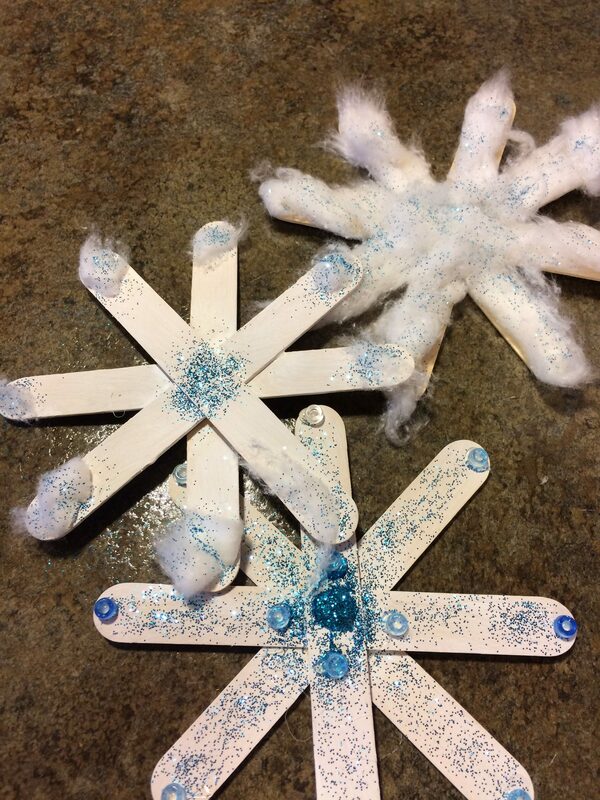 Before it dries, pour on glitter so that it sticks in the paint or add some cotton fluff for a powdery snow effect. 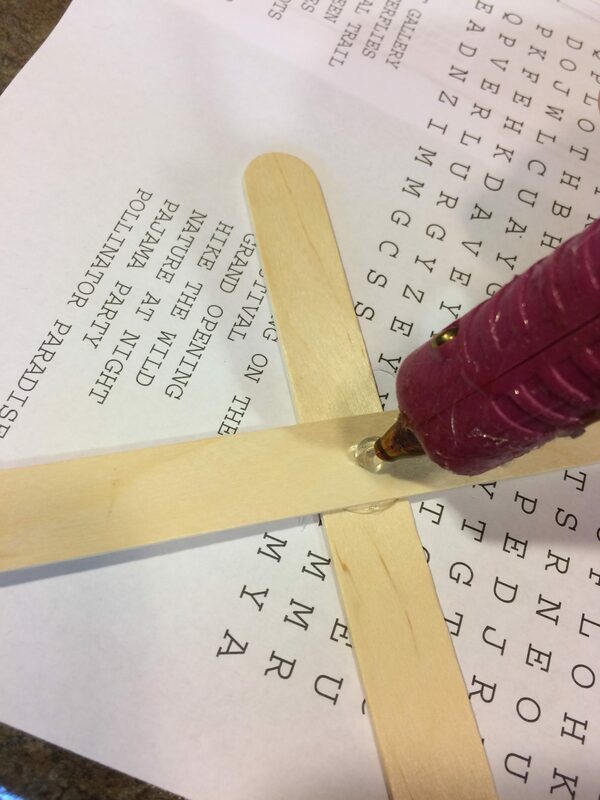 After the glue dries, hot glue (with the help of an adult) beads, jewels or other embellishments. 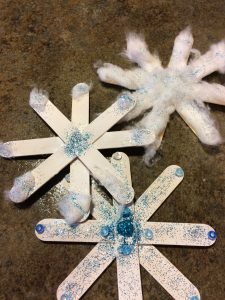 If you want to hang your snowflakes, you can add a ribbon, otherwise prop them up in a windowsill, add a magnet on the back to put them on the fridge or set them on the branches of a tree indoors. The perfect snowflake to add some wintry goodness inside to match the beauty of the white stuff outside.